More details on President Obama visit in Kenya and Ethiopia. The information is provided by National Security Advisor Susan Rice and posted to HORNAFFIRS. On Saturday, the 25th of July, the President’s trip will start in earnest on Saturday morning, where he’ll open up the 6th Annual Global Entrepreneurship Summit co-hosted by the U.S. and Kenya. I expect the President will have an opportunity also to pay tribute to the victims and the survivors of the 1998 embassy bombings, which targeted our embassy not only in Nairobi, but also in Dar es Salaam, Tanzania. Saturday, the Kenyan government will host the President for a bilateral program, including a meeting and press conference and state dinner. On Sunday, the President will deliver remarks to the Kenyan people. We’ll have additional details on the thrust of his remarks in the coming days. But you can expect him to speak to the broad themes in our relationship with Kenya and its people. The President will also take part in a civil society event to highlight civil society’s contributions to development, prosperity and democratic institutions in Kenya. And he will open the event with remarks and engage in a discussion with civil society participants, primarily around the topics of wildlife trafficking, girls’ education, and countering violent extremism. And late in the day on Sunday, we’ll head to Ethiopia. The President will hold a bilateral meeting with the chairwoman of the African Union Commission and during that day will also have the opportunity to highlight some of our sustainable development initiatives, including in food security, as well as the work we’re doing to deepen economic and trade cooperation with Ethiopia in the broader region. President Barak Obama is slated to leave Washington later this week for Kenya and Ethiopia. Here is his program as provided by National Security Advisor Susan Rice. A tentative program set for US President Barack Obama indicates he will meet with Ethiopian and African Union (AU) officials on July 27th and July 28th in Addis Ababa, Ethiopia. While the President will be welcomed at an arrival ceremony on July 27th, he is also expected to hold a press conference with Ethiopian leaders at the National Palace the same day. According to DireTube’s sources, Obama will make a speech at the AU on July 28th at around 11am. He is expected to hold bilateral talks with AU officials including the Chairperson, Dr. Nkosazana Dlamini- Zuma at the Headqarters. 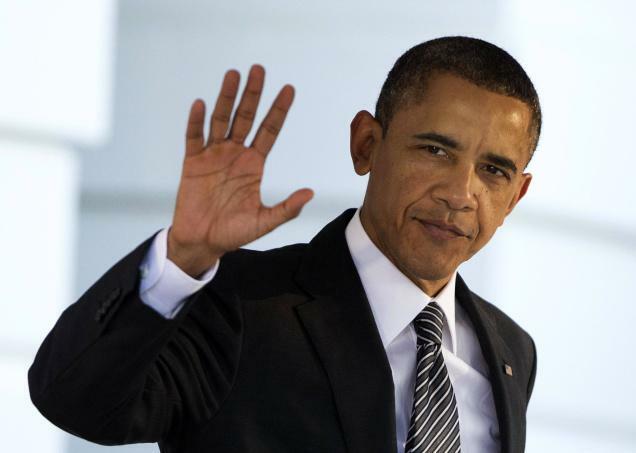 The US President is expected to wrap up his sechedule in Ethiopia at around 9am on July 28th, 2015. According to reports coming out of Kenya, the President won't be visiting his Kenyan relatives in their home village in the west of the country during his trip to Kenya. Obama is scheduled to give a speech to the Global Entrepreneurship Summit (GES) in Nairobi, which opens on July 24. Obama's visit will be his fourth to Africa since becoming US president, but his first to Kenya, his father's birthplace, since taking office in 2009. He has already made personal visits to Kogelo, the home of many of his Kenyan relatives, most recently in 2006. Earlier this week the United States warned its citizens in Kenya of the risk of terrorist attacks, singling out the conference that Obama is due to address In Ethiopia, Obama will discuss how to "accelerate economic growth, strengthen democratic institutions, and improve security," White House press secretary Josh Earnest told reporters in June. Source (DireTube News).